The fishing knot performs well while connecting a doubled main line to a heavy leader. It was originally developed in the sport fishing waters off Isla Mujeres and Cancun. It is stronger than the Albright and the slim beauty and is arguably the strongest knot for mono leader to braided line connections. In the below image, the leader is represented by the red rope and the blue one is the doubled main line. 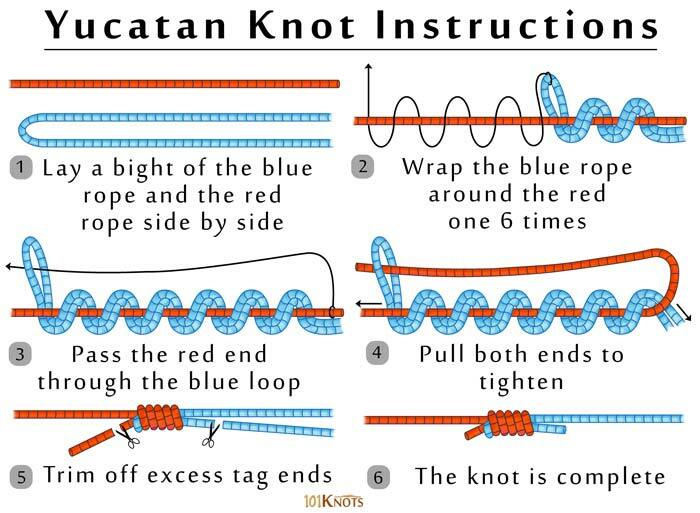 It shows the making of a 6-turn knot. In step 3, take care that a considerable length of the red rope is passed through the blue loop. Breaking strength – When tied with a 22lb braid of .22 mm average diameter and a 30/45 lb leader of 0.56 mm diameter, the braid fails at 100%. With a single strand of braid that has its tag end tied to the leader’s tag end, it fails at 49%. The double line can be the one provided by a Bimini twist or spider hitch. 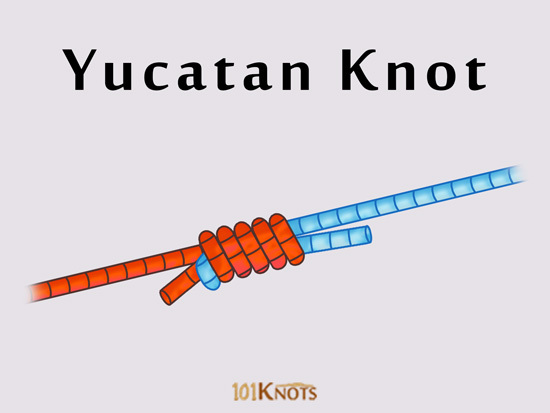 The no name knot or Bristol knot – The leader is wrapped around the doubled main line, the reverse of the Yucatan knot.